'Styles' are layers that can be applied to articles that determine the design or look and feel of an article. A style enables you to control background colour, text colour/font/size, padding and a number of other design decisions. Styles are independent to an articles content so they can be changed or applied to different articles at anytime. 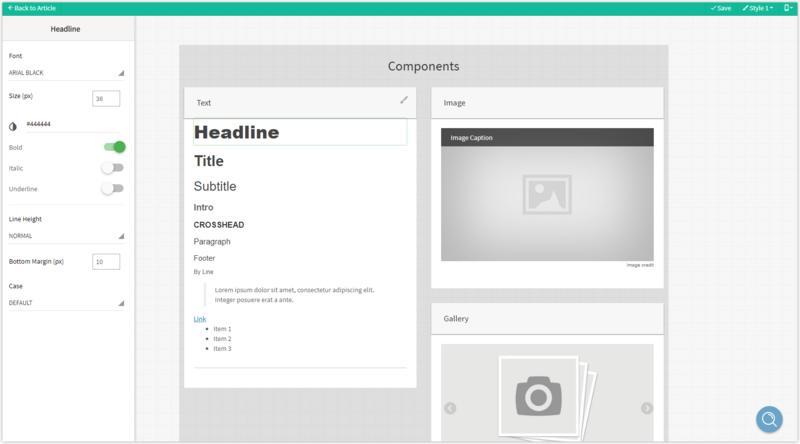 From within the article builder, select the 'Style' menu from the toolbar. Choose the currently selected style and click 'Edit'. 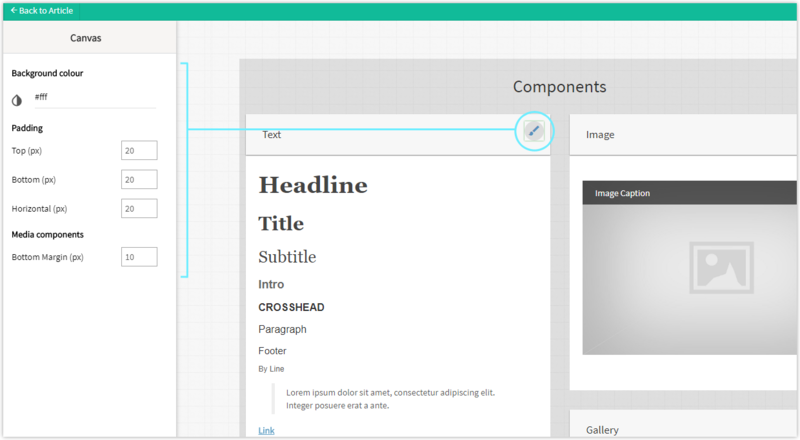 To change the properties of individual components, such as Text components, click them to reveal their properties. Existing styles can be applied to one or more articles. To do this, edit an article and select the style you wish to apply from the styles menu. Try switching between styles to see how it affects the content. To create new styles, you can navigate to the 'Style Manager' from the Article Manager using the toolbar, here you can create extra styles or edit existing ones.